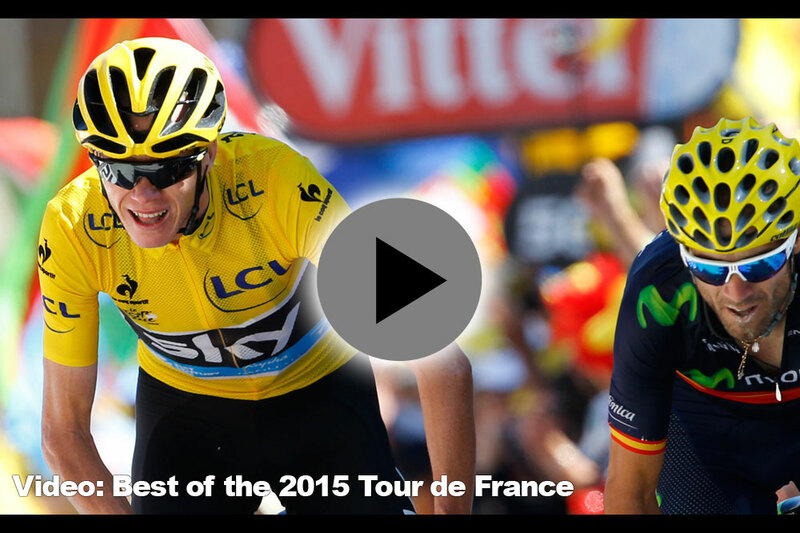 An enthralling 2015 Tour de France ended with Chris Froome (Team Sky) claiming his second win in three years. It was a dominant performance by Froome and his team-mates, with its roots in two crucial stages. On stage two in the Netherlands, cross-winds shredded the peloton and gave Froome an early advantage of over many of his principal rivals, including Nairo Quintana (Movistar) and last year's winner, Vincenzo Nibali (Astana). Froome was in the yellow jersey by the end of stage three, after a huge crash forced leader Fabian Cancellara (Trek Factory Racing) out of the race. And although Sky's leader surrendered yellow the following day to Tony Martin (Etixx-QuickStep), he was back in the lead by stage seven after Martin too was forced to withdraw. 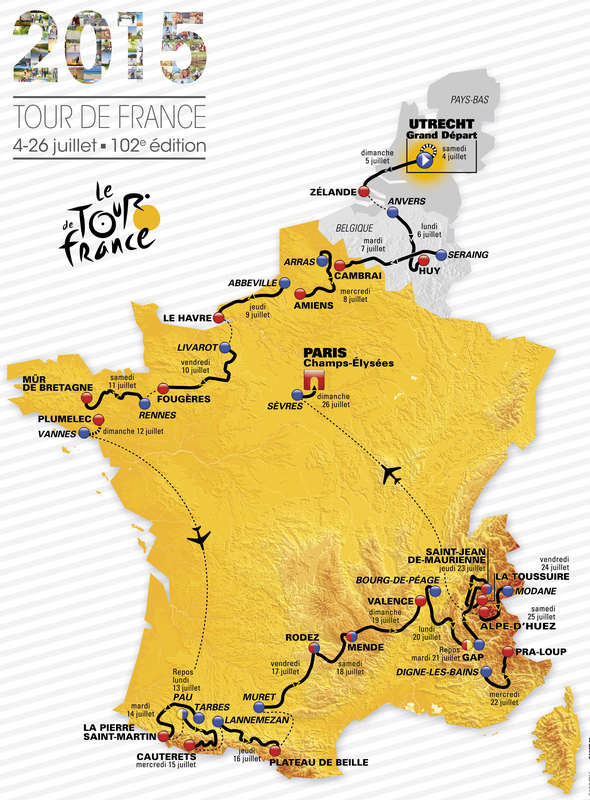 The Tour de France was really won, however, as the race entered the Pyrenees. Stage 10 into La Pierre-Saint-Martin saw the first mountain-top finish, and a breathtaking performance from Froome. Almost all of his rivals, including Alberto Contador (Tinkoff-Saxo) and Nibali, were blown away, and the man in the yellow jersey emerged with a lead of almost three minutes in the general classification. Only Tejay van Garderen (BMC Racing) and Quintana remained as possible challengers. From then on it was a case of defending his lead, and with support from Geraint Thomas and Richie Porte in particular, Froome never looked like losing it. Quintana pulled 30 seconds back on stage 19 into La Toussuire and attacked to force a nail-biting finish on Alpe d'Huez — but in the end Froome was just too strong. The eventual winning margin was 1-12 minutes over the Colombian climber. Andre Greipel (Lotto-Soudal) was the race's outstanding sprinter, winning his fourth stage of this year's edition with a typically powerful effort on the Champs-Elysees, but the green jersey went to Peter Sagan (Tinkoff-Saxo). Sagan failed to win a stage but bagged an astonishing five second-place finishes. The polka dot jersey was won by Froome, who became the first rider since Eddy Merckx to claim victory in both the general classification and the mountains competitions. Why do YOU think there were so many crashes at the Tour de France? Crashes and injuries played a major role in this year's Tour de France, particularly in the opening week, but how did they happen? How did the 10 British riders fare at the Tour de France?